This property owned by William T. Walker and his wife was sold to Edwin Spencer in 1852. Mrs. Marion R. Oliver built this house on the site of an earlier house, built by Edwin (Edmund?) Spencer in 1852, and purchased by Mrs. Marion Oliver (wife of Col. R.S. Oliver) and Mrs. Virginia Struthers (wife of John Struthers) in 1874. Mrs. Oliver, a resident of Albany, New York, spent summers in the earlier house for a time, but by 1886 had rented it out. Both stylistic evidence and an 1894 mortgage indicate that Mrs. Oliver had the original house demolished and a more fashionable one built in its place. 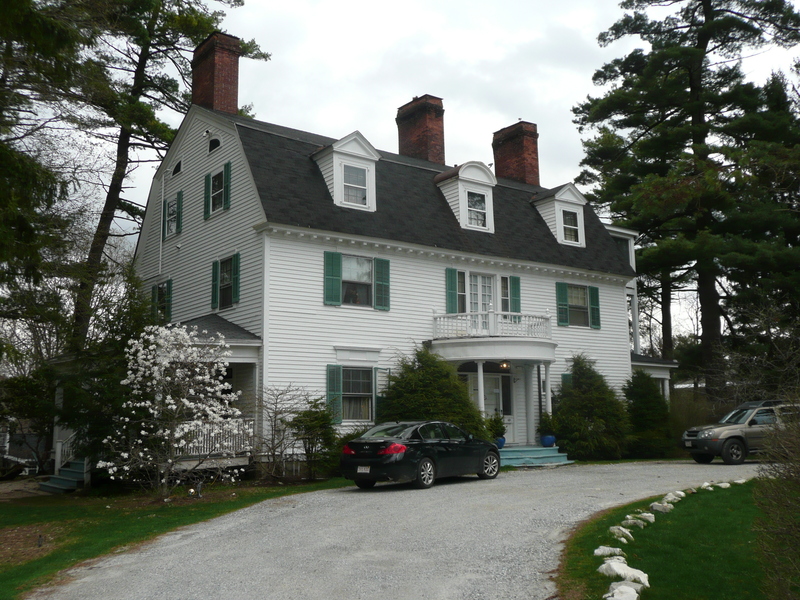 In 1896 the property was sold to Mr. and Mrs. John Struthers, frequent summer visitors to Lenox. The Struthers’ christened the house “Wynnstay” and used it for many years as a summer residence. It was later sold to the Bonner family, and then again in 1937 to the Gieses. Donald D. O’Brien purchased the property in 1968 and sold the property to Stanley E. Rosen in 1999. The Rosen’s converted the barn to six guest rooms in 2000 and added an extension to the barn in 2005. The rooms are rented under the name of “Hampton Inn”. Registry of Deeds, Pittsfield, MA 135.517; 181.7; 222.549; 298.138; 397.3; 395.642; 476.502; 519.481; 565.162; 622.198; 834.289; 859.302; 1664.215.